Congratulations on your upcoming family reunion celebration! Here's everything you need to plan, organize and manage a memorable event. The award winning family reunion event planning web app with timeline planning checklist, cost estimator, with 5 themes. Plan your complete daily itinerary and luncheon/Dinner program. Download MS word templates for printing invitations, flyers, welcome letters, keepsake family reunion booklet, honorary award certificates, attendee registration spreadsheet (dues ledger, budget calculator, t-shirt roster, survey entry database) tips, guides, and supplies. The app also includes genealogy research worksheets: Cemetery worksheet, Military records research worksheet, pedigree worksheet, family tree worksheet, family heirloom certification form. 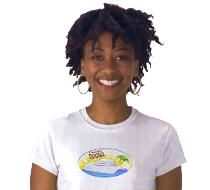 Access pre-designed theme related family reunion t-shirts with matching aprons, caps and print-on-demand invitations, flyers and favors. 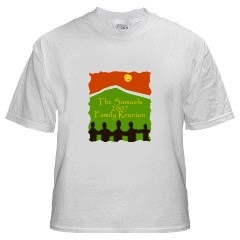 Access the Family Reunion Store with a large assortment of favors, grab bags, gifts, and awards. 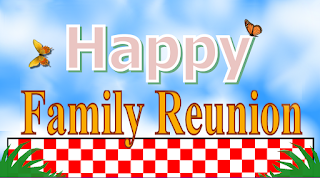 Access the most popular family reunion planning web app available.